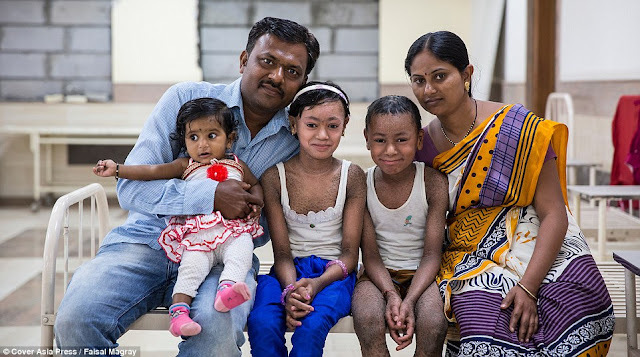 It is a rare skin disorder that appears at birth and remains with suffers for the rest of their lives, with the child even born encased in a collodion membrane that sheds within 10-14 days. The shedding of the membrane reveals generalized scaling of skin that causes varying degrees of redness and eventually scales. 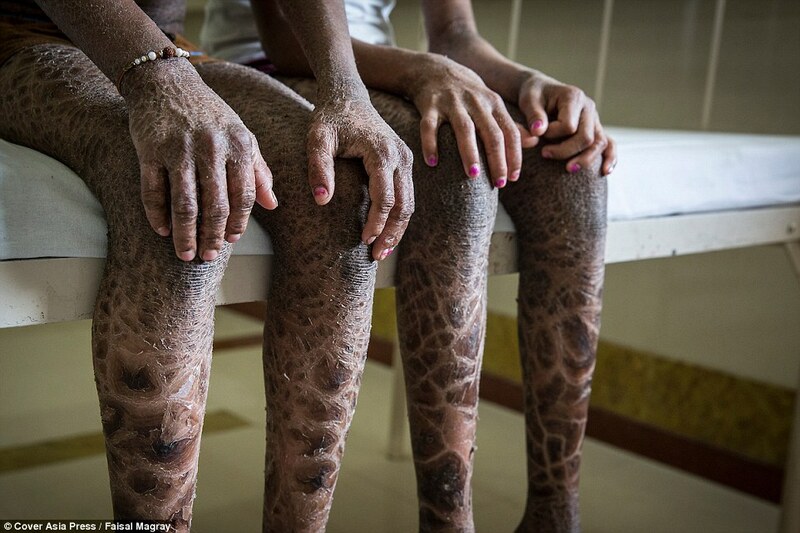 This is an extremely rare skin disorder characterised by abnormal scaling and shedding of the skin. It is estimated to occur in one out of 600,000 births. 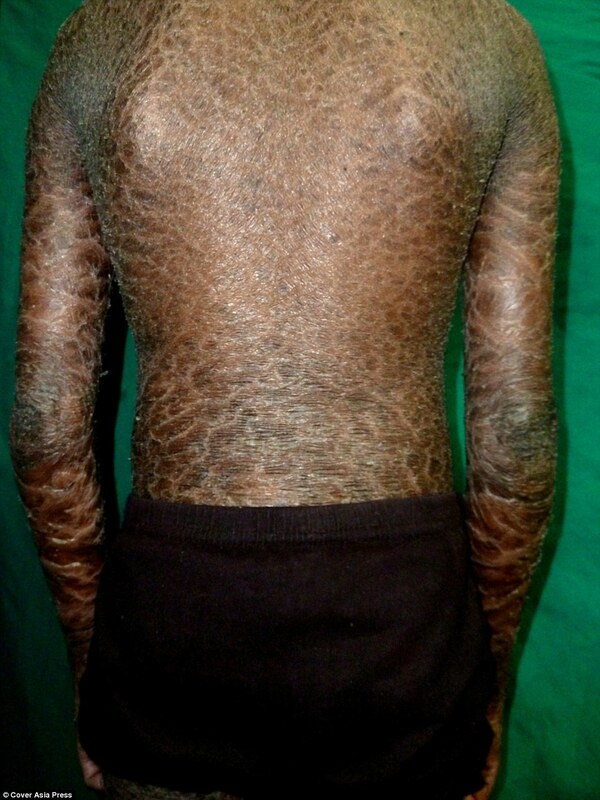 Most affected individuals will be born as a 'collodion baby', states the Ichthyosis Support Group. 'The skin appears to have large plate-like scales which often are rather dark or brownish in colour. The scaling often involves all of the skin although the face may show milder changes,' the group said. 'The condition usually appears in the first few days of life, lasts lifelong and can be very severe. 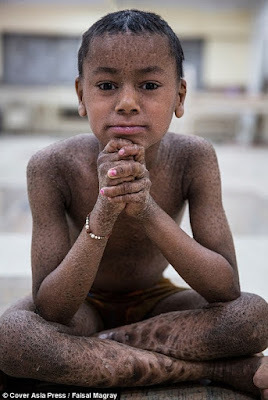 One complication caused by the disease is overheating where the scaling of the skin prevents normal sweating so hot weather or vigorous exercise can cause problems. If left untreated, the skin of the palms may also become thickened, tight and prevent normal bending and straightening of the fingers.